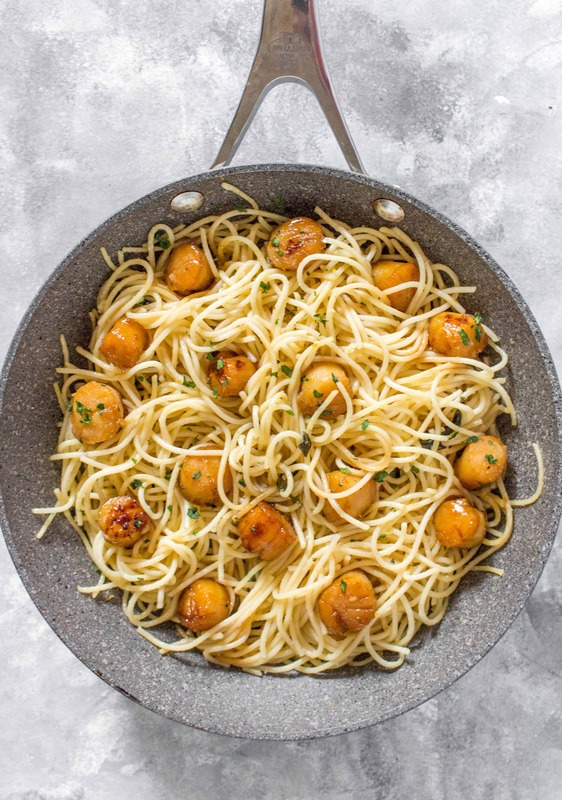 These Spicy Honey Garlic Scallops are perfect for a weeknight dinner or if you’ve got guests to impress! Coated in a delicious sweet but spicy sauce, this Spicy Honey Garlic Scallops recipe will have you asking for seconds! Season 18 of Hell’s Kitchen has started which means it’s time for Gordon Ramsey to yell at the contestants for messing up scallops. LOL. I’m a sucker for a good cooking competition show so you bet I’ll be tuning in. The new Hell’s Kitchen episodes were actually what inspired me to make this recipe – I don’t often cook scallops but if given the chance, I can eat my weight in them. I will pick the scallops out in my chow mien and eat it all if I can’t finish the whole dish haha. I always have dried scallops on hand to add to soups or congees. So when I walked by a bag of scallops at the grocery store, I got to wondering “okay, how hard can it really be?” Plus they were on sale so I was more willing to test my ability to cook scallops. 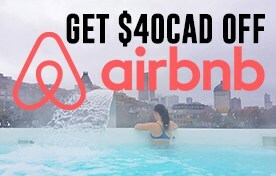 So that’s how we got here! I’m making scallops on the blog today! PS since it’s also the holiday season, this the perfect if you want to impress your guests with little effort! That’s a win in my books lol. The spicy honey garlic marinade I am using for this recipe is great on other meats/seafood as well. However, I picked scallops to cook because 1. I’m on a Hell’s Kitchen binge and 2. scallops are very quick to cook. It takes around 2-3 minutes to cook per side per scallop thus is a great speedy meal. Scallops are best enjoyed straight off from the pan as they can get a little rubbery over time so skip the meal prep for this one. Scallops are a low fat seafood choice as well as being a good source of protein. Scallops are more than 80 percent protein and provides 20g of protein per serving. I used two 300g bags of Marina Del Rey’s Icelandic Wild Caught Scallops (not sponsored) because they were on sale and they come ready to cook (aka I don’t have to deal with the shell and roe). Once ready, in a cast iron (or non-stick pan of your choice), on medium to high heat, add some butter or oil of choice and then add your scallops. Let the scallops cook for around three minutes. Turn the scallops over and cook until golden – around 2 minutes. Remove the scallops and set them aside and add the rest of the marinade into the pan, stirring on low heat, letting the sauce thicken. Once the sauce has thicken, add the scallops back into the pan to coat them or pour the sauce directly onto the scallops. Both sides of a scallop should be seared to a perfect golden-brown ‘crust’ with the sides opaque all the way through. They should be firm to the touch, but still slightly soft with a little wiggle to them. Scallops are very quick to cook so keep a constant eye on them. 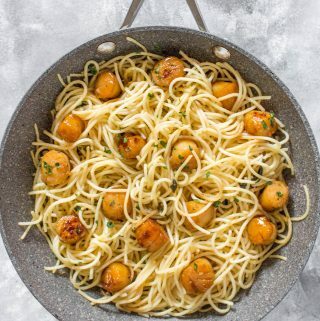 These Spicy Honey Garlic Scallops are perfect for a weeknight dinner or if you've got guests to impress! Coated in a delicious sweet but spicy sauce, this Spicy Honey Garlic Scallops recipe will have you asking for seconds! In a bowl, combine your soy sauce, honey, sriracha, and minced garlic together. Mix throughly and pour half a bag or container with your scallops to marinate. Let the scallops marinate for 30 minutes. 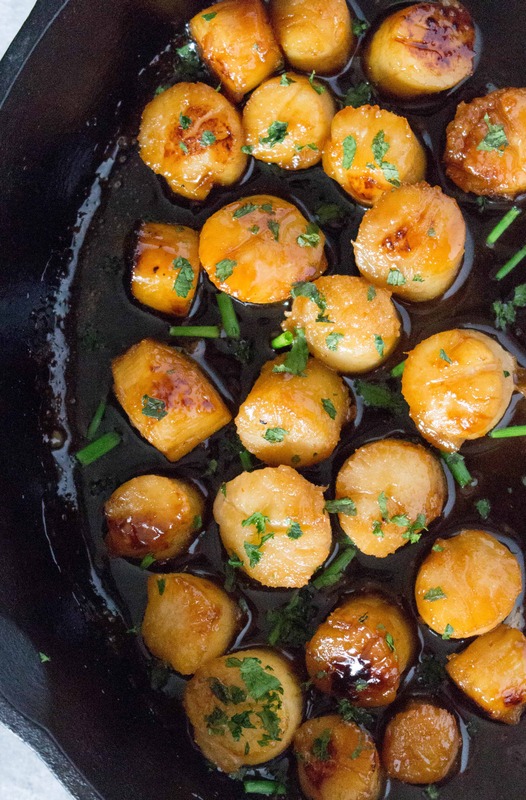 I love scallops – these look super flavorful and yummy! Scallops are such a great and easy protein to prepare. Perfect addition to any pasta dish. What a great dinner, especially with a glass of white wine. I would love this for dinner tonight. I’m a sucker for those competition cooking shows too– will have to check out the Gordon Ramsey series — he’s such an amazing chef. I think that you’d definitely win the scallop competition with this recipe. Such a delicious combination of flavors — I mean HONEY & SRIRACHA??? Yum. I could lick the sauce right off the plate. My husband just made scallops the other night and it reminded me how much I LOVE them. 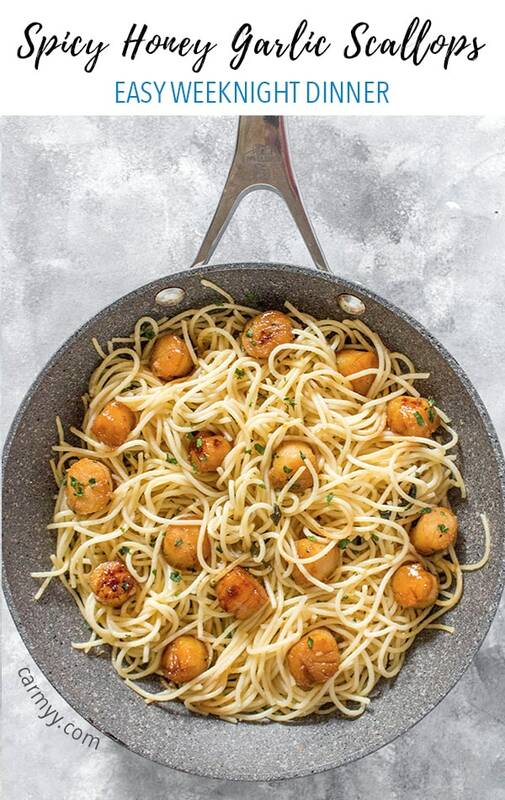 We make a lot of sweet and spicy dishes, but haven’t moved those flavors over to scallops yet. Will definitely need to try your recipe for our next batch of scallops! We love our seafood, especially scallops. They’re easy to prepare and with a little care mouth-watering good. We usually have them with butter and garlic. I love the idea of the spice and the touch of honey. This recipe is certainly a keeper. Honey AND siracha?!!! Gimme gimme gimme! This is just absolute perfection!! So flavorful and delicious!